Describe the importance of acoustical design and the ways total acoustic quality is defined and measured. List solutions for both sound blocking and sound absorption in office and commercial spaces. 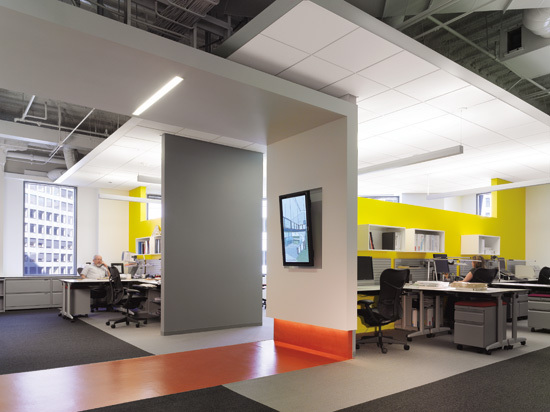 Define a healthcare environment’s needs and solutions for total acoustic quality. Identify school and classroom needs and solutions for superior acoustics. Review mineral fiber, fiberglass, wood, and metal ceiling options for both aesthetics and acoustic performance. Understanding how to design for acoustics in flexible interiors takes on new importance as traditional recommendations are not so compatible with current design trends. Architects are challenged with designing spaces that have multiple functions. Now the science behind the ceiling is able to provide both high sound absorption and sound blocking in the same panel. This article demonstrates the importance of choosing ceilings having both good sound absorption performance as rated by the noise reduction coefficient (NRC), along with good sound blocking performance as rated by the ceiling attenuation class (CAC) for simple ceiling options that can help provide the right acoustical solution for the design. Noise problems can be improved with a choice of enhanced ceiling materials that both absorb and block unwanted sound. In this section, we'll discuss the problems with poor acoustic design and performance, and how that performance is evaluated. For workers to be most effective, open workspaces should accommodate needs for both collaborative and focused activities. Noise is unwanted sound. It originates from a variety of sources, both inside and outside a workspace. 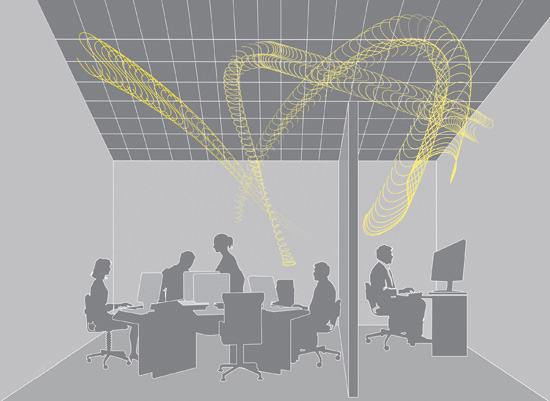 Noise and its solutions are not well understood in the building design industry.